Roberta Marin is a Licensed Mental Health Counselor, born and raised in Munich, Germany, where she studied the works of Sigmund Freud, and other notable German and Austrian psychologists, in their original German editions. Then earned undergraduate and masters degrees in Psychology at City University in London as well as New York University and Columbia University in New York. After completing studies, she worked as a Licensed Mental Health Counselor (LMHC) at Columbia University and Kafko ... Más informaciones Psychological Services. Over the years, she has developed her own approach to therapy, pulling elements from both the Psychodynamic and Cognitive Behavioral philosophies, in order to provide deep, yet practical direction. Cognitive Behavioral Therapy ("CBT") is goal-oriented and solution-focused, whereas the more traditional Psychodynamic perspective allows us to reflect on our journeys in order to appreciate who we are today. Through her own experience, Roberta has found the interplay between uncovering the past to then utilize these discoveries as a tool to better understand the present to be highly effective in her work. 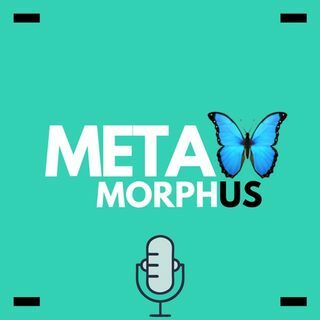 Metamorphus is an organization dedicated to helping people using modern day tools in a world that's always changing. Our goal is to provide a free and accessible resource to those suffering from mental health worldwide. Together, we can revolutionize the mental health crisis that is unfolding today with your help. Please contact us if you would like to chat, feedback, and guest queries.